We would like to thank all the buyers, underbidders, organisers, helpers, family & sponsors for their help to make the Qld Red Angus Power of Red IV Sale run smoothly. 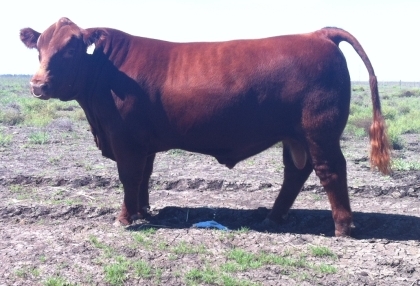 GK rising two year old bulls averaged $7500 and topped the sale at $8500 for GK Red Mutual Fund M34. 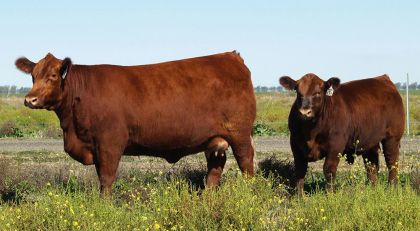 Our weaner bulls topped at $6000 and averaged $4666 and our 5 heifers topped at $5000 for GK Red Ruba 21 N11 (ET) and averaged $3750. 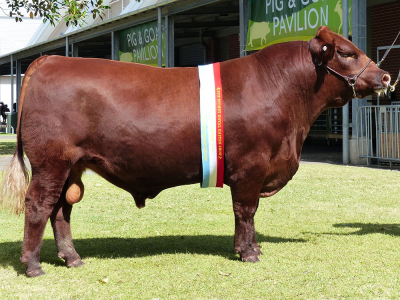 We hope to see you all again for Power of Red V in 2019, to be held 7th September at a new venue – the Equine Pavilion at the Toowoomba Showgrounds. Thanks to all buyers bidders and supporters of GK genetics at the Power of Red III Sale in Sept 2017. 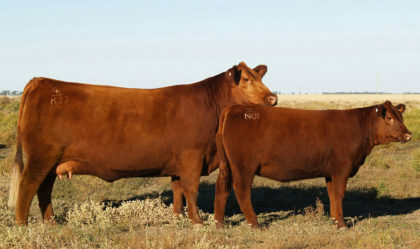 GK Red Dina 164 K33 (GK K33) and her heifer calf Dina N1 (GK N01) topped the sale at $13,000 to Greenwood Park Red Angus. 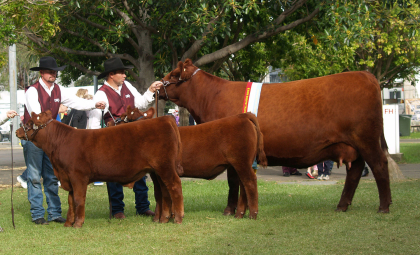 This result followed on from her being named Grand Champion Red Angus female at the 2017 Brisbane Exhibition. 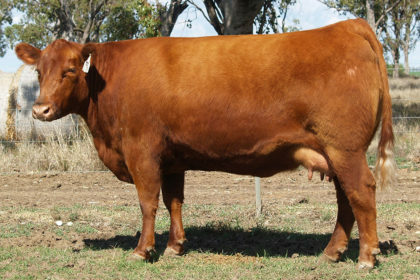 GK Red Marshall 21 M20 (GK M20) at 12 months was the top selling yearling bull to Goonoo Red Angus Tamworth NSW for $7500. Our rising two year old bulls averaged $7166. GK Red Lights Out L30 (GK L30) sold for $7500 to Edwin Cooke. GK 23 Street Legal (GK L16) & GK Red 26 Las Vegas L24 (GK L24) both sold to Bill Fanning for $7000. Equal top priced heifer calf was GK Red Foxy Lady 314 M36 (ET) (GK M36). 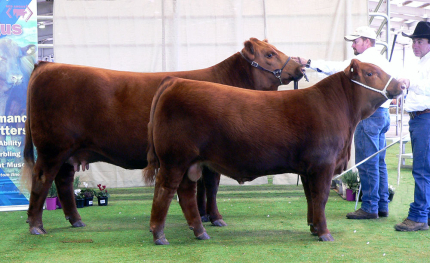 She was purchased by Grylls Cattle Co & BJ’s Stud Cattle, Victoria, for $5000. 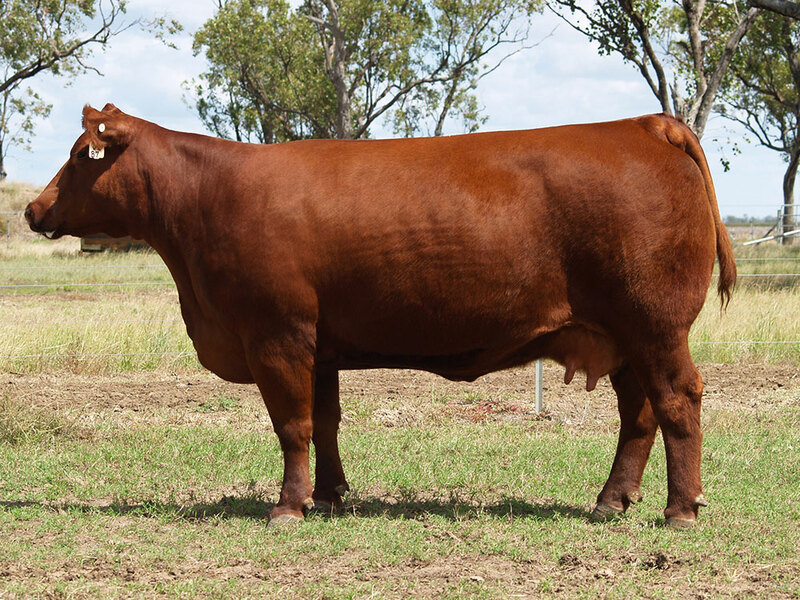 GK Red Kulcha Shoc K23 (GK K23) was the top priced bull at the 2016 Qld Red Angus Power of Red II Sale being purchased by Michael and Kay O’Neill for $16,000. GK Red Dina 26 J19 (ET) (GK J19) was purchased by The Country Heritage Trust for $10,000 as the top priced female in the 2016 Power of Red II . 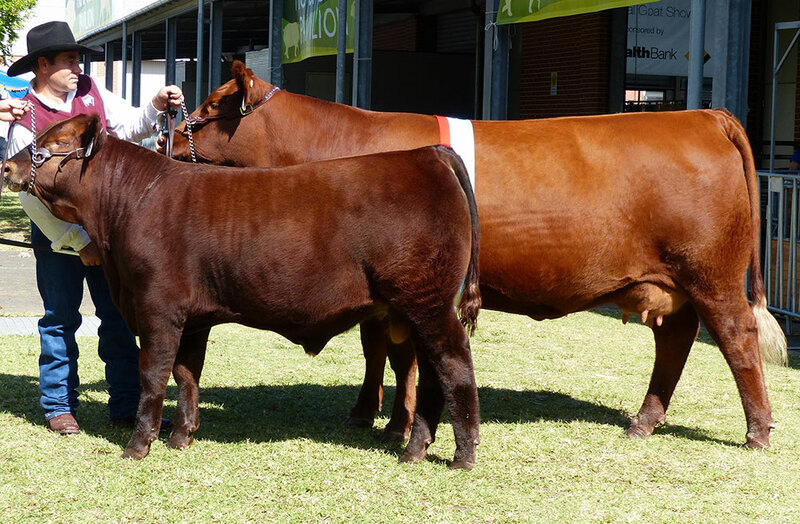 We would like to take the opportunity to thank all purchasers and under-bidders for supporting our program at the Power of Red II Sale and throughout the year. Thanks to new Simmental member Dallas Kropp, Dallas Ranch, Toowoomba for purchasing a half share in this standout black Simmental heifer calf, GK Living Image CC L33 for $10,000. 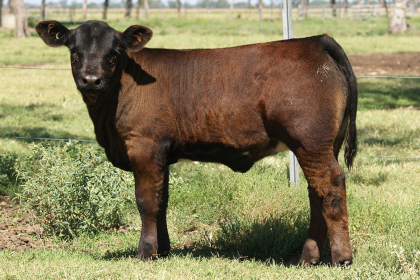 Living Image is a Dec 26, 2015 born daughter of Alliance Masterpiece J2 (see Female page) and is sired by the homozygous black bull CCR Cowboy Cut. 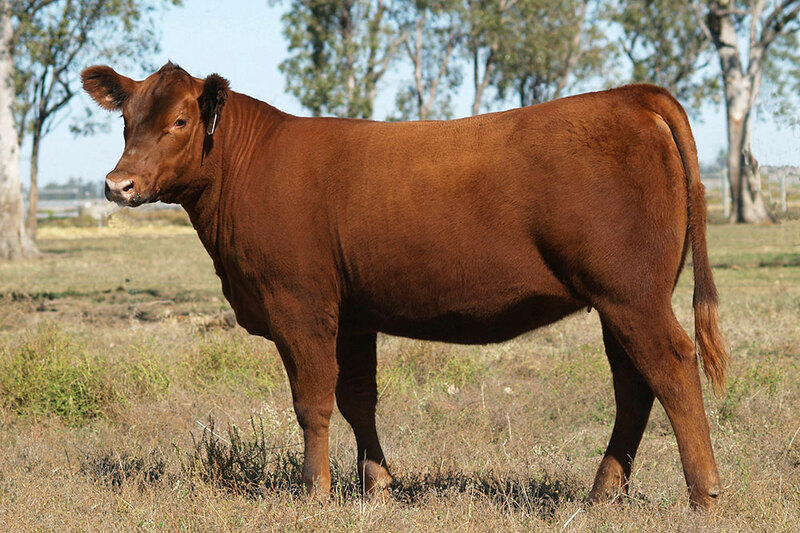 GK Red Maple 26 H33 set a new Australian Red Angus Female record in September 2015 when she sold for $20,500 to Nobbs Cattle Company of Duaringa Qld at the Inaugural Qld Red Angus-Power of Red Sale. 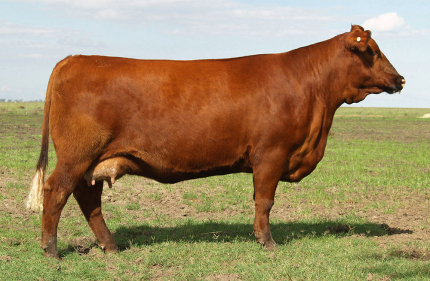 Thanks to Ben Fraser, who purchased a deck of outstanding mature females from the heart our herd in November 2014. Amongst Ben’s selections were the Sydney Champions GK F11, GK B07 & GK D11 (pictured left to right). 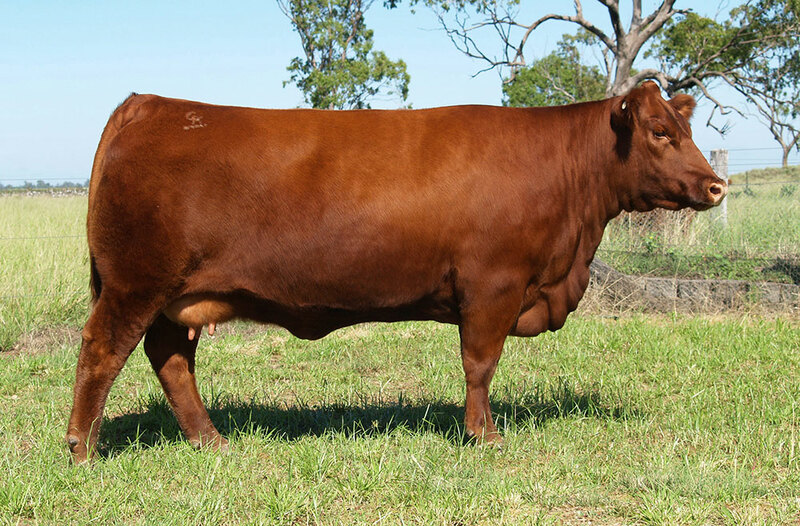 We would like to thank Arthur Kelly, AK Stud, Kangaroo Valley for purchasing our beautiful 2014 Hordern Winning female GK Red Olivia 26 G41. Olivia has since calved another heifer calf sired by GK 213 Grand Prix G13 (ET). 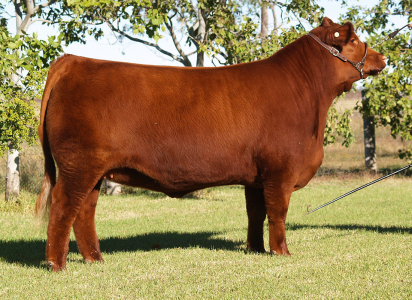 Thanks to Arthur Kelly AK Stud, Kangaroo Valley NSW, for purchasing H42 at the 2014 National Sale. 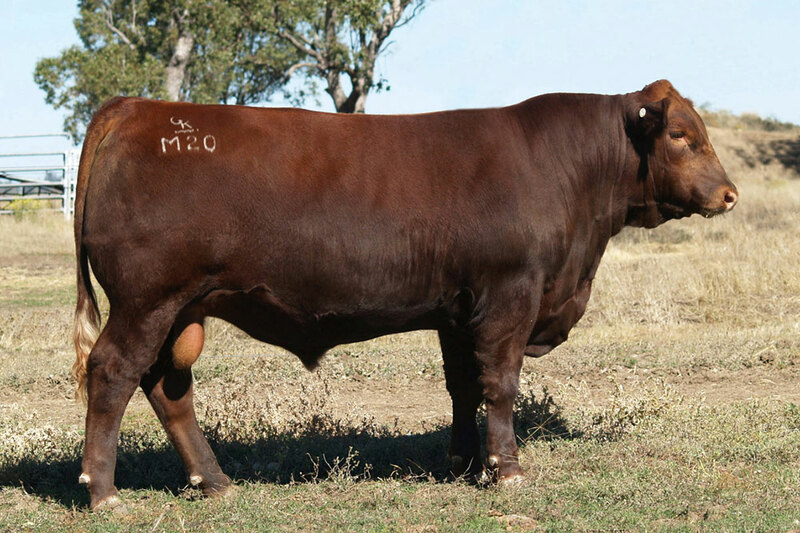 Hitman is a maternal brother to Federer F23 and is one of the first progeny in Australia to be marketed by Red Northline Fat Tony 605U. Hitman H30 was named Champion Bull at the 2014 National Angus Youth Roundup and was selected for $10,000 by return customer Dr Martin Strahan of Bundaberg, Qld for use in his stud herd. 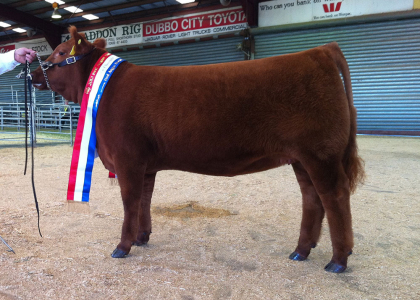 Ella was named 2012 National Champion Female and was also the top priced female, selling for $12,000 to Ponkeen Red Angus, Victoria. 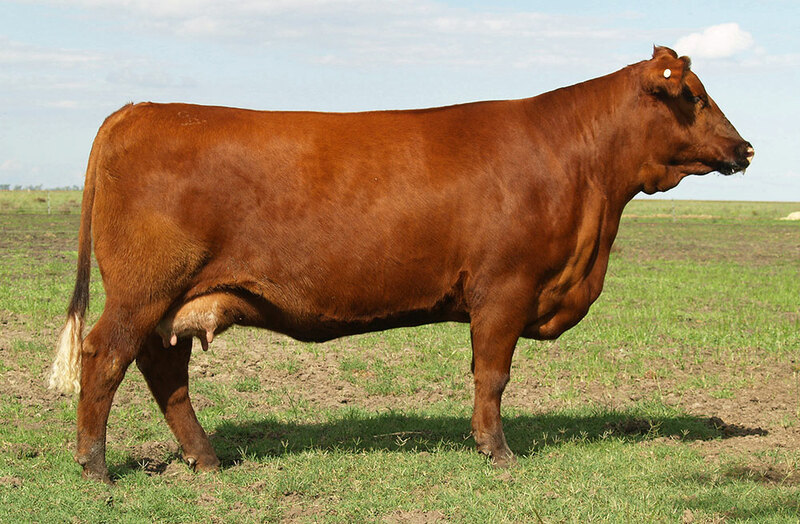 Ella is a maternal sister to GK 26 Federer F23 and sold with her eight-month-old bull calf at foot by Red Diamond T Hips Stout 107U. This lovely daughter of Red Brylor Stallion 19J was selected by Lee & Claire White and Christian Allan, Bathurst, NSW, to be a foundation female for their stud, for $8,000. Thanks to Tom Wilding-Davies, WD Cattle, Holbrook, NSW for purchasing this super daughter of Mulberry, for the sale top price of $13,000. We would like to thank all the buyers and under-bidders of the GK lots for showing their confidence in our program at the October 2012 Pride & Passion II Sale. Nine GK live lots topped at $13,000 to average $5,777. 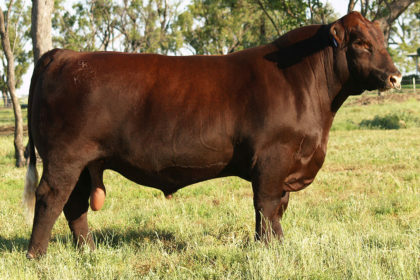 H31 was the first Fat Tony 605U daughter to sell in Australia and at eight months was purchased by Max & Lynne Glasser for their newly formed Glencoe Stud on the Darling Downs. At nine months of age, Olivia was named Junior Champion Heifer at the Red Angus National and was purchased by Michael & Maz Glasser as a foundation female for their Ashlar Stud. 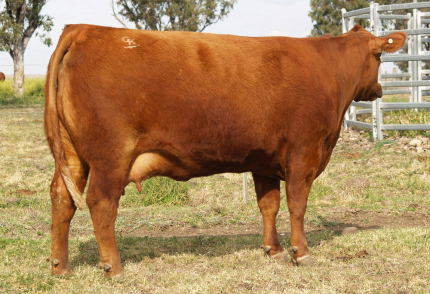 This 23-month-old son of Red Corner Creek Cash 2R sold for the second top price of $12,500 at the 2013 Red Angus National to Jason Black, Toowoomba, Queensland. 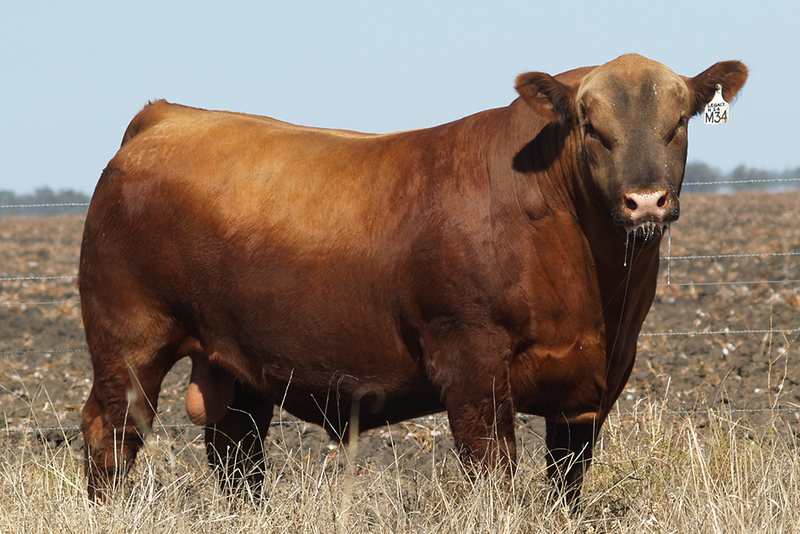 Jason will be utilising Greenback in his Santa Gertrudis female herd to produce bulls that will head out west and be used in his family’s commercial herd.